IS THE NEW AGE PHILOSOPY SLOWING THE PROCESS OF ASCENSION INTO FULL CONSCIOUSNESS? Is the New Age philosophy slowing the process of ascension into Full Consciousness? This question has plagued my mind since working on Dennis Kucinich’s presidential campaign in 2004—the year after the United States attacked Iraq based on false pretenses. At the time, many of us who were active in promoting the announcement and implementation of the NESARA LAW supported the candidacy of Kucinich. Why? The United States was in the midst of destroying Iraq—the ancient cradle of civilization. Kucinich was known by those of us working for NESARA to be one of the most spiritually advanced statesmen in Washington, D.C. 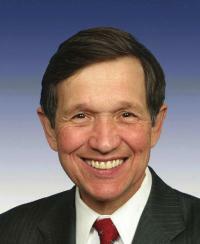 In Kucinich words: “It is well known that in times of economic difficulty violence increases. When relationships are strained by economic hardship, domestic violence, violent robbery and abuse of children and animals all increase. When the world is facing possibly the largest economic downturn since the Great Depression, now is not the time to ignore social issues and interpersonal relationships. Now is the time to pay special attention to make sure that our relations and health do not suffer along with our pocket books. The Cabinet-level Department authorized in the legislation embodies a broad-based approach to peaceful, non-violent conflict resolution at both domestic and international levels. The Department of Peace would serve to promote non-violence as an organizing principle in our society, and help to create the conditions for a more peaceful world. Kucinich had a long history of working for peace at all levels of society from street gangs and child abuse to international warring parties. 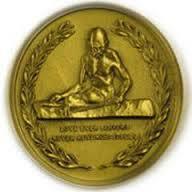 He was awarded the prestigious Gandhi Peace Award in 2003—one of many such awards. I go into some detail about Kucinich to make a point. In 2004, the people desperately wanted peace. The United States had an outstanding presidential candidate who knew the meaning of peace and how to achieve it. He had voted against the war in Iraq and was very outspoken as to his reasons why. He saw through the lies told the American people. The 2004 Presidential Peace Candidate withdrew from the race due to lack of support from the very community that that sings “Let There Be Peace On Earth” once or more weekly. I continue to feel that millions of New Agers, who refused to be silent or to give up, could have made a tremendous difference in the history of the United States. 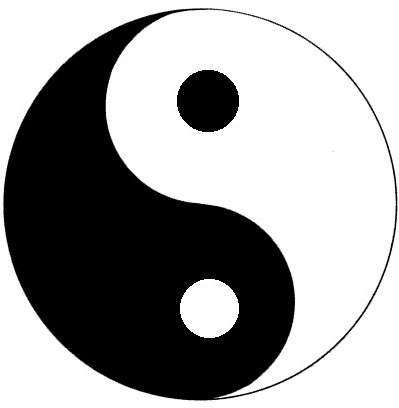 If we desire to attain full consciousness, we must work at balancing the Yin/Feminine with the Yang/Masculine. To focus only on the positive is to focus only on the Yin. We cannot create our New Earth without being familiar with the Old problems so we can determine how to take action and create the New solutions. Another half-truth turning New Agers away from seeking a balance of Yin/Yang is “It is all illusion … it will simply pass away. In other words, no need to get involved by waking up to all that is happening on Earth. Who profits from this half-truth? Certainly not those who truly desire to ascend into full consciousness and move forward on our journey to becoming an Adult God who understands how to create. A baby does not learn to walk by having a parent learn for him/her. A part of our Ascension process is learning how to co-create our New Earth! Addendum: Uriel and I wrote much of this article during sleep last night (8/23-I went to bed at 1AM). This morning, when I turned on my computer, I was thrilled to find this channeling and article by Dr. Kathryn May and Gabriella. I encourage you to study it carefully. Because Dr. May is a professional Clinical Psychologist, the Ascended Masters are channeling much deeper psychological information thru her in an effort to assist in our ascension process. Addendum #2: From here on out, it will be imperative to remember “We do not know what we do not know.” Reacting to statements we have not heard before with a knee-jerk response can prevent you from learning more Truth than you have heretofore known. Instead, take new information into your heart … ponder it … discern intuitively, does it fit into your increasing knowledge of truth? … then, you can accept or reject it. [vi] https://pathwaytoascension.wordpress.com/2013/11/15/new-age-movements-deceptions-suppression-of-the-sacred-masculine/ You can read my summary of Passio’s entire series of You Tubes on the subject here. Filed under: Full Consciousness, New Age Philosophy |	Comments Off on IS THE NEW AGE PHILOSOPY SLOWING THE PROCESS OF ASCENSION INTO FULL CONSCIOUSNESS?